A machine-applied pure polish or glaze. A paint conditioner that feeds and revitalizes your paint. Safe on fiberglass, plastic and all paints. An Agression Level 1 (of 10) from the machining action alone. Use this material with a medium grade foam pad (see the Doctor's white pad) and follow with a paint protectant like wax or polymer. 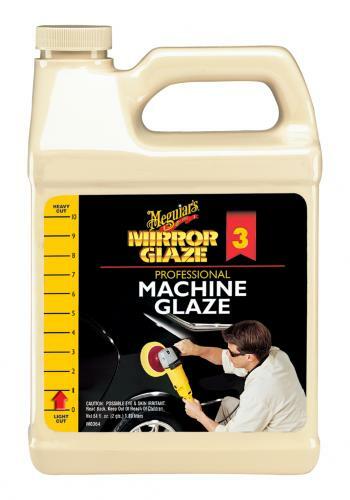 Machine Glaze outshines all other machine applied polishes, glazes, waxes and sealants. Penetrating nutrients revitalize all paint finishes. Buffing residue wipes off easily. Restores original brilliance and clarity. Safe and effective on fiberglass, plastic and paint.